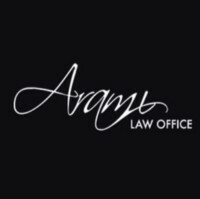 Arami Law Office is the premier Chicago divorce attorney that has the experience and understanding you need when it pertains to family law issues or personal injury cases. Attorneys at Arami Law Office work hard to represent clients with top-notch legal counsel, and understand the emotional toll divorce can have on them. Kenneth J. Allen Law Group specializes in personal injury cases. Practice areas include: auto accident, medical malpractice, wrongful death, and more. Please visit kenallenlaw.com for more information. With 6 locations in Illinois and Indiana, Ken Allen has helped hundreds of families win personal injury cases across a variety of disciplines. Ken Allen’s legal experts work hard to win cases for victims.